Molylube Ultra Open Gear Lubricant is an open gear lubrication package formulated for dragline, shovel and process open gears. It is a full-service open gear lubrication package in a single product, from priming through to operational lubrication. 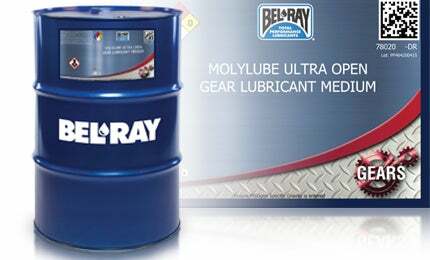 Molylube Ultra Open Gear Lubricant provides exceptional film formation capabilities, ensuring that components are fully lubricated in the hydrodynamic or full fluid film mode.